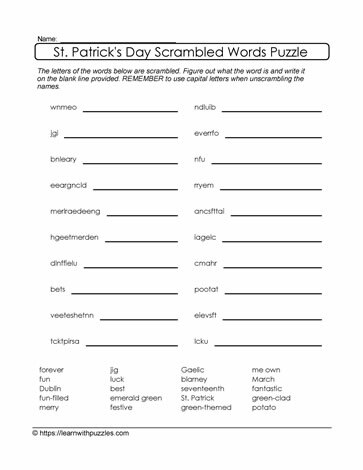 This list of 20 scrambled words about St. Paddy's Day engage students' brains, activates problem solving skills. To complete the puzzle, solvers need to unjumble the words and then record the correct spelling on the line provided. Suitable for students in grades 3,4,5 classrooms, home schoolers and learners engaged in theme based curriculum.